“I think we agree that major reforms are needed. We just disagree on what they should be. While it isn’t perfect, NCLB has us talking about the low achievement of poor and minority students.” Dave (and friends!) take up the anti-anti-NCLB torch. The comments of my last post have turned into something of a boy’s club, with Stephen and Todd tossing out some anecdotal material that did me right, especially here at the end of an eighteen-hour teach-and-plan-a-thon. Obliged, fellas. At almost 40, I’ve lost some of that generational link with my kids, but it’s been replaced by the wisdom I’ve gained in being able to connect with them in other ways, too. It’s definitely a trade-off, but one that inevitably happens. I can’t help but want to have it both ways. Is it possible to stave off that inevitability? Inner-City Teacher Inspires Students to Stab Him. Yeah, I don’t really care much for these movies either. Someone tell me this is a mistake. I really enjoy language, so when my class pulls around to triangles or polygons or tetrahedrons I make a point of dissecting the roots and prefixes. Nothing special. I’m pretty sure this is SOP for math classes nowadays. 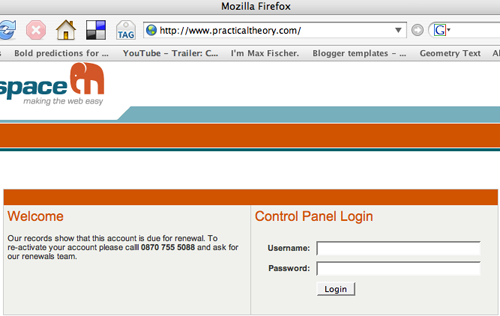 If this thing stays down, I’m organizing a Blogger Bake Sale to get Lehmann’s Practical Theory back online. My students volunteered to help me cook up a “NorCal Brownie,” whatever that is.